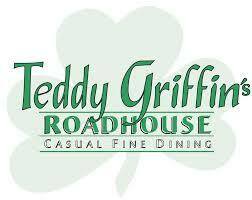 Teddy Griffin’s Roadhouse is a Harbor Springs restaurant. Casual spot to grab ribs, steak or fresh fish after golf or skiing and catch the game on TV. Sunday thru Thursday 4 p.m. to 9 p.m.
Friday and Saturday from 4 to 9:30 p.m.